By nature I'm not a patient person. I like seeing results, and my preferred timeframe is generally "now". Give me a problem and I immediately want to start working on finding a solution. Define a goal and I will go after it with concentrated focus. Set a deadline and I will do everything in my power to meet it. Does that sound like someone you'd like to have working in your company? I hope so, but you also have to know that there is a downside to having such a strong drive. For example, when faced with a situation I want to jump right in, solve the problems and assign tasks to get it done. It's embarrassing to admit this, but I often have to actively remind myself to ask my fellow team members and employees how they're doing, or how their weekend was. It's not that I don't care. I do care deeply about the people I work with, and outside of the office I like to think that I'm a lot of fun. It's that at work, with a limited number of hours in the day and way too much to do, I tend to go into "get 'er done" mode. And when this happens, I am not honoring one of the most important things that my favorite horse trainer taught me - that what's most important is not the ride that you have today that matters, it's the relationship you're building that will take you where you want to go tomorrow. In the gospel according to my training guru, Pat Parelli, it is great to have a successful ride - the kind where you clear all the jumps, canter effortlessly through the field or take a blue ribbon in the horse show. But the thing that trumps all of those cases of instant gratification is building a strong foundation so that your next ride is spectacular. It's about not just controlling the horse, but also about being present, listening and responding to whatever needs attention at the moment. As prey animals, horses can have a lot issues and you really do have to earn their trust. 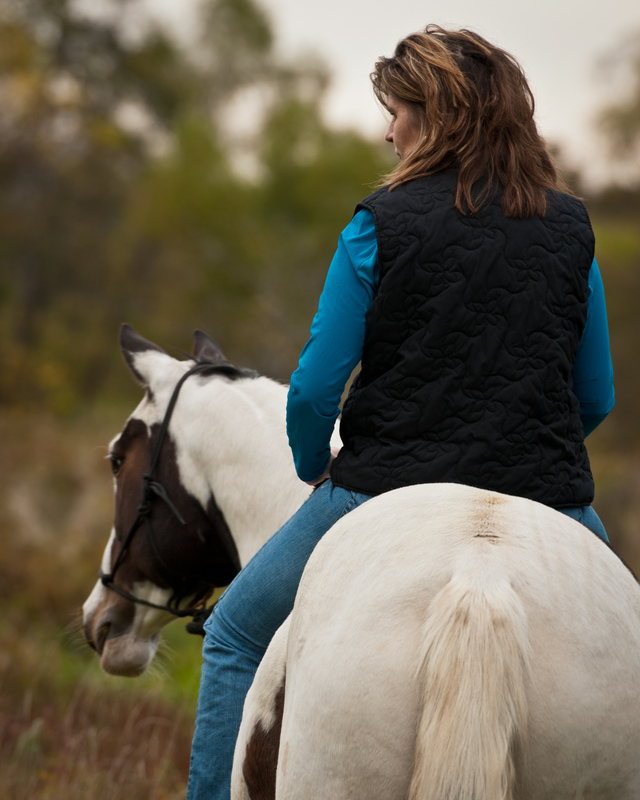 Self-preservation is built into the DNA of both horses and humans, and although you can force a horse to do pretty much anything, that usually doesn't end well. And by taking a different approach you will often reach a whole new level of co-creation and success when you're able to get your horse (or your employee) to be mentally engaged with you, actively bringing ideas and their A-game to the table. Making this shift requires no money and minimal energy. It starts with being aware, asking the questions, listening - and also caring - about what the other person is saying. How well do you know your employees? Are you aware of their aspirations? What the favorite part of their job is? What gives them the most anxiety and stress? What if we are so committed to actively supporting and coaching the people who are on our team that what we end up creating are proactive partners who feel a sense of ownership in carrying out a company's mission? Like a horse that approaches a big jump with enthusiasm and curiosity instead of fear, employees that feel supported are much more likely to give you a great ride. It's such a simple thing, really. But who doesn't want to be treated with respect, knowing that they are making a difference. In the words of Pat Parelli, "A horse doesn't care how much you know until he knows how much you care," and I think it's the same with employees. Let's not get so focused on getting things done that we forget that we're working with other humans, not just computers and machines.